A Great Modern Phone System Must Integrate Seamlessly With Your Data Network—You Deserve A Tech PARTNER With Expertise In BOTH! Whether you need a legacy phone system maintained, or an entirely new communications system for multiple offices, Andromeda Technology Solutions is the answer you have been looking for. As our expertise also includes complete data network solutions, you can rest assured that we can fully integrate a communications system that will best leverage your existing or future IT infrastructure. In many cases, your telephone system is the first thing people will experience when dealing with your business. • Does it show your company in a good light? • Is it set up so your clients have a good experience? • Does it help maximize employee productivity? We have the experience and knowledge to show you how to get the most from an office phone network! Experience the simplicity of having an experienced company to handle all aspects of your communication systems, letting you focus on running your business. Contact us or fill out the Request form on this page now to ask us to contact you! Andromeda lives to serve organizations like yours—at your level of need, your timetable, ...your budget! We are a certified Panasonic dealer for both a traditional PBX system, as well as a true IP-based VoIP system. The beauty of these systems lies in their very extensive feature set (over 800 features) and their mix-and-match capabilities. 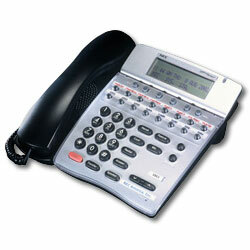 Each system can mix analog, digital and IP phone sets to match almost any application. Also, each system has extensive functionality built-in for incorporating branch offices, work-at-home employees and other remote workers. We spend a great deal of time understanding all your requirements, so we can select the system and functions that are exactly what you need. If you are considering an IP-based telephone system, it is important to understand these systems are more data systems than phone systems. Unlike a traditional PBX system, a VoIP system puts a significant burden on your data network, and requires specific equipment and configuration to ensure everything is running properly. Many traditional telephone service companies lack the skills to properly install and maintain a VoIP system. Andromeda Technology Solutions excels in all aspects of voice and data, and will ensure you get the system that is right for you. Whether Cloud-based, Hosted/virtual PBX, or completely on-premises, we have the knowledge AND experience to guide you and implement your voice communication system to perfection. We have many years of experience with system replacements of legacy phones systems from: ComDial, Nortel, Toshiba/Mitel, and Samsung just to name a few. If you would like to experience service from a truly customer-focused organization, call us when you are ready to upgrade your existing telephone system. We provide office Phone System service, design, sales, installation, and setup for small-to-medium sized businesses throughout Chicagoland, NE Illinois, and NW Indiana. Besides the immediate Chicago metropolitan area, we are pleased to provide design, sales, installation, setup, and service of office phone systems/networks for most of the surrounding suburbs. Want a FREE Consultation or Have Questions? Your information will only be used for our own contact purposes and will never be shared with any third-party. We have solutions for every type of business phone application-from 5 phones to 500 phones. Our passion is to provide you with the best service possible. We have a vested interest in your business, and view our relationship as a partnership. © 1995-2019 Andromeda Technology Solutions. All rights reserved.